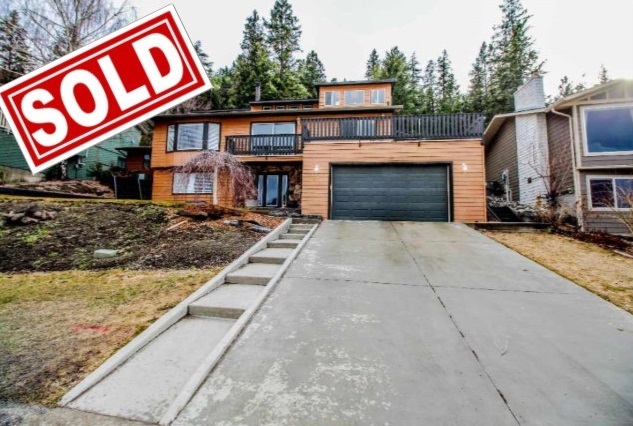 New Listing: 2287 Skeena Drive, Juniper Heights, Kamloops, BC $459,900. Juniper Ridge home with inground pool and loads of updates. This 5 bedroom 3 bathroom home has a multi-level floor plan with room for the whole family. Recent updates include kitchen, hardwood flooring, number of windows, furnace, roof, garage door and concrete driveway. There is a bright open foyer with lots of room for all your stuff. There is a vaulted ceiling in the living room and dining room open to the hall of the second level. The family room is off of the kitchen that are open to one another. Access to the private yard that backs on to a greenbelt with tons of room for the family to enjoy the heated in ground pool. 24 hours notice to show. Lease in place until August 1st.